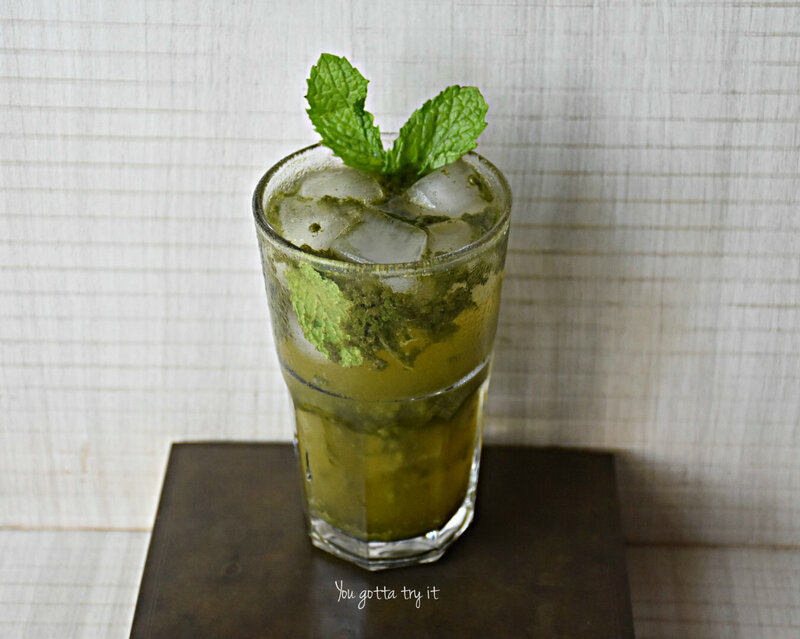 You gotta try it: Three cool summer drinks recipes - You gotta try it! 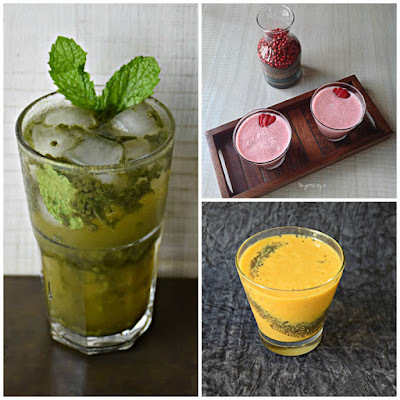 Three cool summer drinks recipes - You gotta try it! Summer is a great time to test your culinary skills. It is very important to keep your body cool in this extremely hot weather. With very minimal ingredients you can do magic in your kitchen. Here are three refreshing drinks recipes which you can try/ diy at home. These recipes are tried and tested and are very healthy ones. Try adding fresh fruits/ fruit jellies/ fruity ice cubes made of strawberry/ kiwi/ berries in your lemonades and smoothies. This will add more flavor and nutrition to your drink. 1. Blend 7-8 mint leaves with wheatgrass, squeezed lemon juice, black salt, pepper and raosted cumin powder and sugar/honey. 2.If you are using the sachet, add the wheatgrass powder to the above mix. 3. In a glass, add wheatgrass mix and chia seeds (1Tbsp each). Fill it with ice cubes and chilled soda. 4.Garnish with mint leaves/ lemon wedges before serving. 1. Peel the mango and cut it into small cubes. 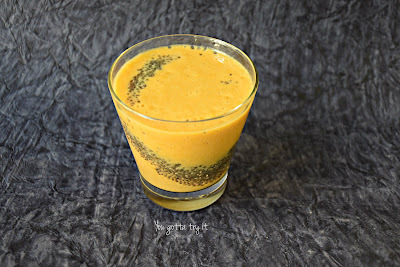 2.In a blender, add the mango cubes, soya milk, sugar, and blend this well. 3. 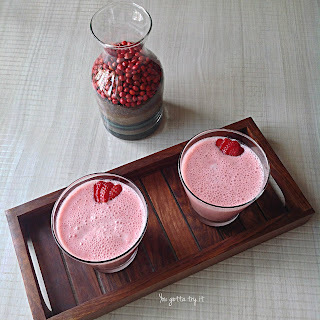 Arrange two glasses, add chia seeds (1Tbsp each) and fill the smoothie. You can add ice cubes (optional). Note : I always add 2-3 drops of homemade bitters in this and the smoothie tastes so flavorful. You can also replace soya milk with almond milk. 2. In a blender, add strawberries, yogurt, sugar, and blend this well. 3. Take out two clean glasses and fill the smoothie. Note: You can convert this to a breakfast smoothie bowl with fresh cut fruits and muesli/ corn flakes. 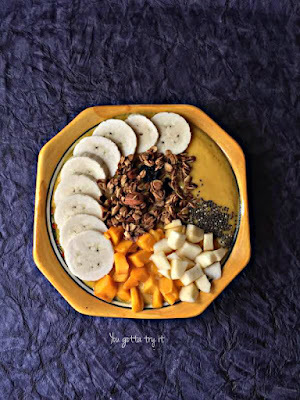 Check out my Mango breakfast smoothie bowl pic.